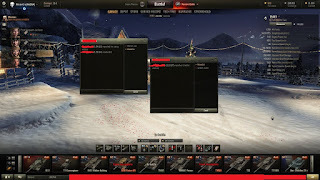 The only thing I would like to repeat is that yes, there are some clans can be quite infamous due to their frequent racist or/and elitist remarks and yes the T-22 sr. missions were widely rigged but people lose the right to complain once they start giving reports when those players are not misbehaving or there is no proof that they indeed rigged. Created this topic to gather your suggestions and opinions about the in-battle report system. 1: How would you improve the report system? 2: Are 10 reports sufficient? 3: What suggestions can you give as an alternative to the report system? We wait for your impressions! -Just to be clear, this isn’t a EU staff coordinated feedback gathering, its Dellroh‘s. -And please understand that smaller language communities are friendlier and easier to control hence why EN wasn’t so open as ES. -If you do not speak Spanish please refrain from typing in Dellroh’s topic (Google translator wont work! ), you can however, give a constructive opinion on the comment section bellow here. I will be reading and I’m offering to compile and properly translate your feedback to him!